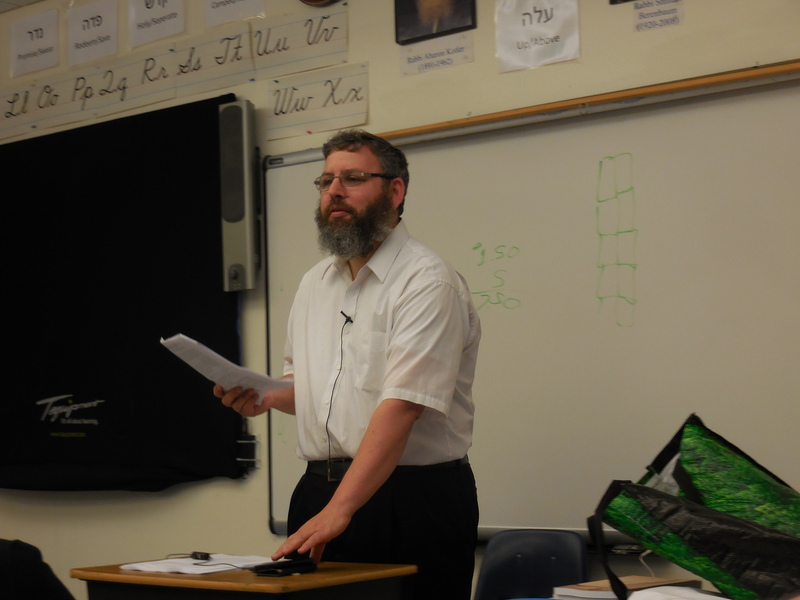 Two weeks ago, nearly four dozen audio recordings from this summer’s Yeshivat Chovevei Torah‘s Yemei Iyun in Tanakh and Jewish Thought were uploaded. 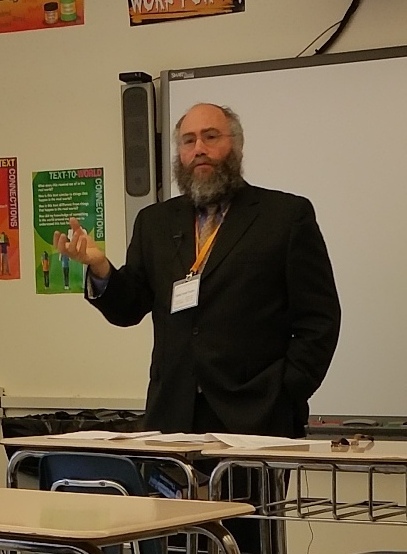 Having dispensed with previous years’ arrangement of lectures on specific books within the Jewish Bible (תנ”ך (TaNaKh)), this year’s Yemei Iyun in Tanakh and Jewish Thought allowed for speakers to speak on any book within the Jewish Bible, along with a track for Jewish Thought. 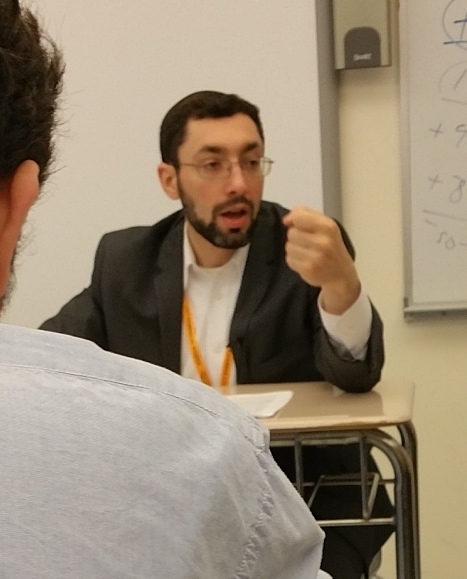 For this track, this year’s topic was The Theology of Habad Hasidut for the first day, with the second day’s track being Science and Judaism. All of the audio files, which are in mp3 format, can be found from the main page, which has subcategories for Torah, Nevi’im, Ketuvim, The Theology of Habad Hasidut, and Science and Judaism. There are 17 talks on Torah, 10 for Nevi’im, 9 for Ketuvim, 5 for The Theology of Habad Hasidut, and 5 for Science and Judaism, yielding 46 in total. Of these, five were delivered in Hebrew – one by Rachel Keren (“Malakhi: The Close of Prophecy”) and four by Rabbi Yuval Cherlow (“Iyov: Was He Righteous or Wicked?”, “The Proper Educational Approach to Teaching the David and Batsheva Narrative”, “Unraveling Shir HaShirim”, and “Why is Olam Haba Not Mentioned in the Torah”). Below is a listing of the remaining 41 audio recordings in English, by topic. 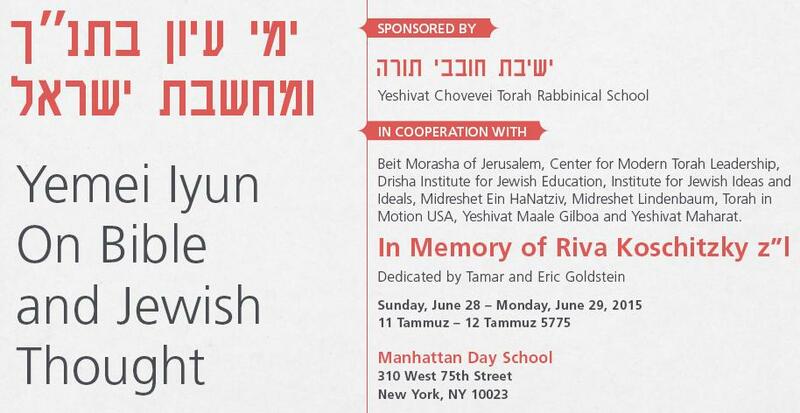 Having taken place on June 28th and June 29th in New York City, the Yemei Iyun in Tanakh and Jewish Thought took place in cooperation with Beit Morasha of Jerusalem, Center for Modern Torah Leadership, Drisha Institute for Jewish Education, Institute for Jewish Ideas and Ideals, Midreshet Ein HaNatziv, Midreshet Lindenbaum,Torah in Motion USA, Yeshivat Maale Gilboa and Yeshivat Maharat.